It’s a new year and if you made any new year’s resolutions that likely means getting back to the gym. But finding time can be tough, between work, travel and making time for friends and family. Don’t sweat it! Teplis Travel has some helpful tips and resources that can keep you on the right track regardless of your hectic schedule. “The personalized fitness trend is gaining strength in a wide range of hotels”, according to a recent article published by the Washington Post. 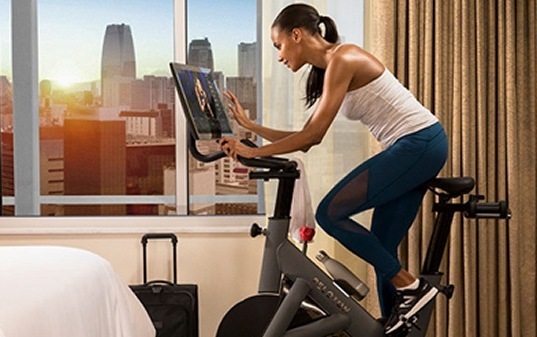 Many of the top hotel chains across the US are adding workout options like: Yoga classes, boutique fitness classes, bootcamps, modern equipment such as Peloton Bikes, and even in-house personal trainers. Hotel fitness centers and wellness offerings have come a long way and having more options available can help you stick to your fitness routine when you’re traveling. We know many travelers are particular about their workouts and need to have access to a “real” gym while traveling. 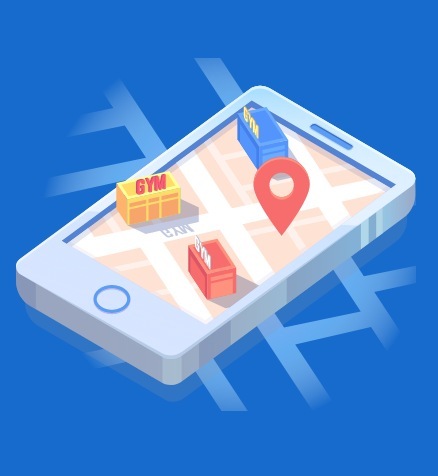 There are several apps that are loaded with information about great gyms around the world that let you search for a place based on what you’re looking for in a workout experience. ClassPass — The ClassPass app, available on iphone and android devices, has a monthly membership that allows users to access more than 8,000 fitness studios across the country. ClassPass is available in 50 cities across the US, Canada, UK and Australia with plans to expand to nine other countries this year. BONUS! ClassPass is offering a free month-long trial— double their standard trial period offer. With the trial, you can go to up to six boutique fitness classes in January for $0. Zeamo — The Zeamo app, available on iphone and android devices, continues to grow in American cities and urban corridors, as well as in Canada, Europe, and Australia. Zeamo allows users to access more than 25,000 gyms on the fly and buy a day pass with the click of a button. Users can filter gyms according to their amenity preferences, meaning users can drill down into gyms with pools, saunas, child care, massage, physiotherapy, and even air conditioning. Zeamo has partnership agreements with more than 500 gyms including the brands HealthSPORT, Balance, Fitness SF, Active Sports Clubs and Club Metro USA. LA Fitness has over 690 gyms in the U.S. and Canada. For $30 a month, members can get access to any LA Fitness in the United States. In some cases, you may have to pay an additional fee, especially if you are visiting an LA Fitness in a different state than your own. CrossFit has been one of the fastest growing fitness trends of the past decade and gyms, aka boxes, can be found worldwide. There are around 15,000 CrossFit-affiliated gyms around the world, making it incredibly travel-friendly. Most CrossFit boxes allow visitors to “drop-in” – you’ll pay a fee to workout (usually between $10 and $20) and maybe walk away with a free t-shirt from that gym. 24 Hour Fitness has over 400 clubs in 18 states in the U.S. – making it one of the largest gym chains in the United States. Membership dues are reasonably priced at around $30 a month and the equipment selection in most of their gyms is superb. Additionally, 24 Hour Fitness has teamed up with GoodLife Fitness and Energie Cardio to give their members access to over 300 gyms while traveling in Canada. Equinox Fitness is a luxury fitness chain and calls itself a “temple of well-being.’ There are Equinox clubs in many major U.S. cities, as well as Toronto and Vancouver. Membership prices vary from location to location, but here’s a look at what it might cost you (it’s expensive). For $240 a month, you can have access to all Equinox clubs in the United States, including all classes and amenities. For $295, you’ll get access to all Equinox Fitness and Sports Club locations worldwide. Anytime Fitness gyms are open 24 hours a day and there are more than 3,000 franchise locations in 20 countries and all 50 U.S. states. Countries with Anytime Fitness gyms include Canada, Mexico, Australia, Italy, Japan, and the United Kingdom. Anytime Fitness has been called the “most convenient gym on the planet” and this makes it a logical choice for anyone who travels a lot. With a membership, you will have access to the thousands of Anytime Fitness gyms worldwide (only after 30 days of membership). Maintaining a fitness routine while traveling isn’t always easy, but it can be possible. Cheers to a healthy and happy 2019! Zeamo here. Thank you for the shout out. We were born to help the traveller keep their fitness regime up while on the go. So perfect that you have mentioned us in this piece. Just to update we are now in 44 cities in The USA with more than a thousand gyms on the platform that we have partnered with. As well as having a B2C product we also have a Company Benefit platform that corporations can access for their employees. We continue every day to add to the offering.